The Isle of Man 2013 Winter Olympic Coins by Pobjoy Mint issued on behalf of the Isle of Man Government and commemorate the forthcoming Winter Olympics to be held in Sochi in 2014. The Winter Olympics are to be the first Olympic Games to be held in Russia since the breakup of the Soviet Union. In 1980 Moscow hosted the event as part of the Soviet Union. The Olympic Park will be built in Sochi on the coast of the Black Sea and is to be the smallest Olympic Park to date with the venue’s being only minutes apart. 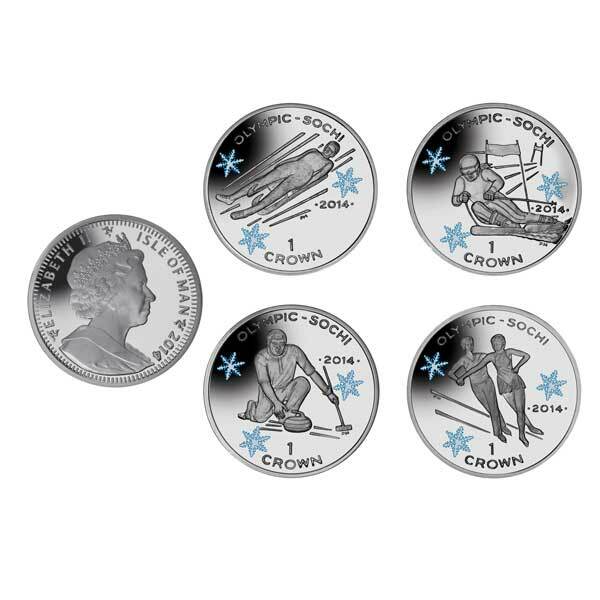 For the 2014 Sochi Winter Olympics the Isle of Man Government have approved four coins to be struck by Pobjoy Mint. The first of the coins features The Luge, and shows a sled heading down the track. The second coin represents Figure Skating depicting a pair of Figure Skaters. The third coin features Curling as its discipline and shows player sliding his stone across the ice. The final coin in the series depicts Alpine Skiing, a contest held at every Winter Olympics. 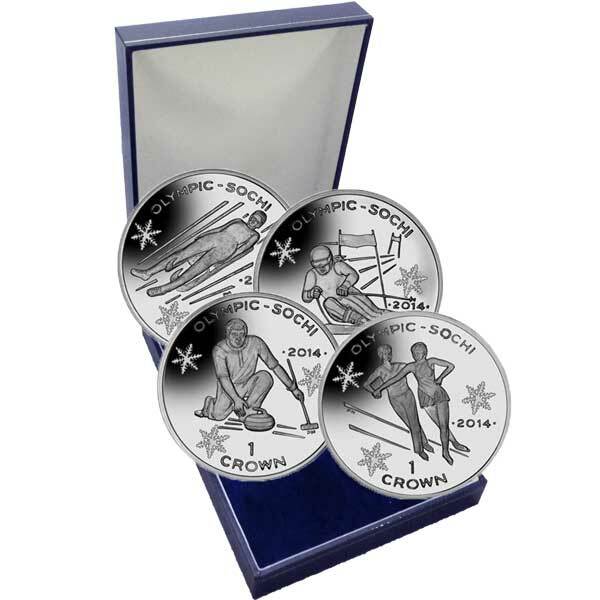 The Isle of Man 2013 Winter Olympic Coins are available in Cupro Nickel and 1oz Proof Sterling Silver. Each coin is also available with coloured snowflakes to give a frosty winter feel. The obverse of the coins carry an effigy of Her Majesty Queen Elizabeth II, Lord of Mann by Ian Rank-Broadley FRBS.